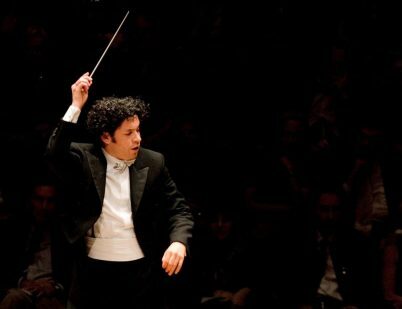 Notable concerts of the 2010s include the Santa Barbara debut of Maestro Gustavo Dudamel as Music Director of the Los Angeles Philharmonic on May 7, 2011; as well as performances by Tafelmusik Baroque Orchestra (three times), Orchestre Philharmonique de Radio France, Hespèrion XXI, Sächsische Staatskapelle Dresden, the Los Angeles Chamber Orchestra (twice), the St Petersburg Philharmonic (twice), the China Philharmonic, the Boston Symphony Orchestra, the Royal Philharmonic with Charles Dutoit and Pinchas Zukerman (twice), the Seoul Philharmonic, the New York Philharmonic with Alan Gilbert, the Philharmonia Orchestra with Esa-Pekka Salonen (twice), St. Louis Symphony with David Robertson (twice), the Estonian National Symphony Orchestra with Neeme Järvi, the Academy of St. Martin in the Fields with Joshua Bell (three times), the London Philharmonic Orchestra with Vladimir Jurowski, Orchestre de la Suisse Romande with Charles Dutoit, the London Symphony Orchestra with Michael Tilson Thomas, the Montréal Symphony Orchestra with Kent Nagano, the Danish National Symphony Orchestra with Fabio Luisi, the Chicago Symphony Orchestra with Riccardo Muti, the Orchestra of the Age of Enlightenment, the San Francisco Symphony with Michael Tilson Thomas; recitals by pianists Garrick Ohlsson, Christopher O’Riley, Peter Serkin (twice), Hélène Grimaud, Pierre-Laurent Aimard, Lang Lang (twice), Sir András Schiff (three times), Stephen Hough, Richard Goode and Jean-Efflam Bavouzet; violinists Itzhak Perlman (twice), Joshua Bell, Christian Tetzlaff, Anne-Sophie Mutter, and Augustin Hadelich; cellist Mischa Maisky; guitarists John Williams, Sérgio & Odair Assad, and Manuel Barrueco; mandolinist/vocalist/composer Chris Thile; soprano Dawn Upshaw; tenor Ian Bostridge; mezzo-soprano Susan Graham; concerts by the Tetzlaff (String) Quartet, Anonymous 4, The Kalichstein-Laredo-Robinson Trio, The Tallis Scholars, Juilliard String Quartet (twice), Tetzlaff-Vogt Duo, Jordi Savall playing bass and treble viols with Frank McGuire on Irish frame drum (bodhrán), pianist Jonathan Biss with the Brentano (String) Quartet, soprano Isabel Bayrakdarian with the St. Lawrence String Quartet; and appearances with orchestra by pianists André Watts, Lang Lang, Rudolf Buchbinder, Richard Goode, Jean-Yves Thibaudet (four times), Yefim Bronfman, Emanuel Ax, Jean-Efflam Bavouzet, Nikolai Lugansky, Yuja Wang, Lise de la Salle, Jeffrey Kahane, Daniil Trifonov, Seong-Jin Cho, and Garrick Ohlsson; violinists Renaud Capuçon, Leonidas Kavakos, Pinchas Zukerman (twice), Joshua Bell (three times), Augustin Hadelich (twice), Robert McDuffie, Nicola Benedetti, and Gil Shaham; cellist Alisa Weilerstein; mezzo-soprano Anne Sofie von Otter, soprano Deborah Voigt and mezzo-soprano Michelle DeYoung; clarinetist Stephen Williamson; and by timpanist Joseph Pereira with percussion duo Maraca2. CAMA’s INTERNATIONAL SERIES at The Granada Theatre presents the world’s finest classical orchestras and recitalists. The International Series is the direct descendant of CAMA’s original orchestra series, which has regularly presented internationally renowned orchestras and soloists to Santa Barbara audiences since the 1920s. The International Series is supported by an endowment from SAGE Publications. CAMA’s MASTERSERIES at the Lobero is dedicated to presenting the world’s finest classical recitals and chamber music. Masterseries was originally founded by Stephen Cloud and classical pianist Michael Isador in November 1982. Under CAMA’s aegis, Masterseries continues the work of Esperia Foundation through an endowment gift that underwrites complimentary tickets for selected community members.